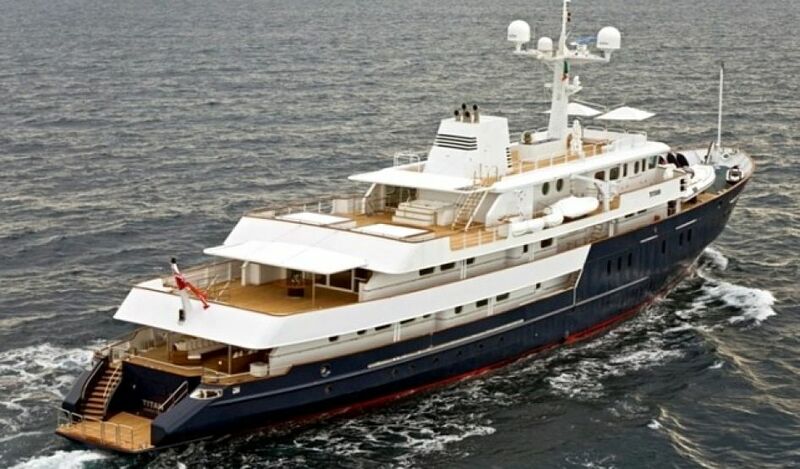 60m super yacht sleeping 22 guests in 11 cabins. 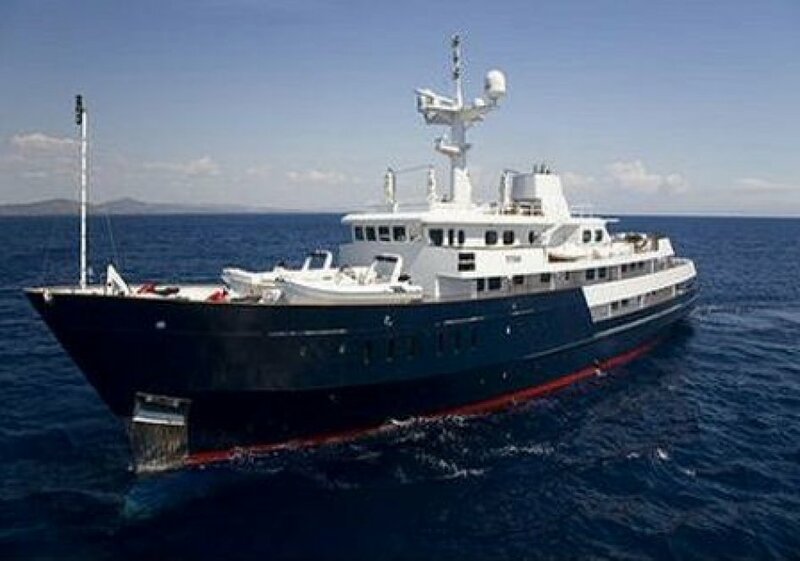 The 60m Titan was launched in 1968 by Brooke Marine as the Royal Navy vessel HMS Beagle. After a complete rebuild in 2005 and a refit in 2008, she is now one of the most spacious and luxurious charter yachts available. 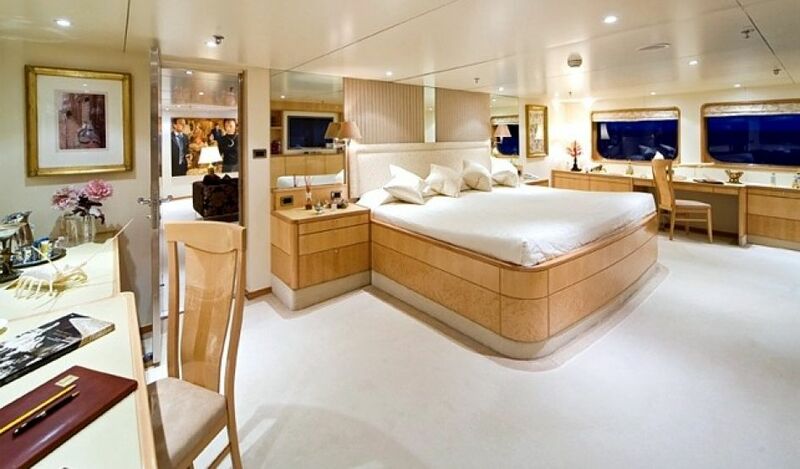 Titan sleeps 22 guests in large and light staterooms, including a 90 sqm master suite with separate lounge and bathroom ensuite. Below deck aft are three double junior suites (with a sofa) and a further two twin guest cabins. Two twin and two double junior suites (with a sofa) and one twin guest cabin are situated forward. The entire yacht is furnished in an English contemporary style using beech and bird’s eye maple and the immense internal proportions result in an open, airy atmosphere. The main saloon with cinema screen is ideal for small groups or as one large space for entertaining, linking up with the salon. On the upper deck is a library (with additional flatscreen / dvd), gymnasium and bar with sky lounge opening to a shaded terrace through automatic glass doors. 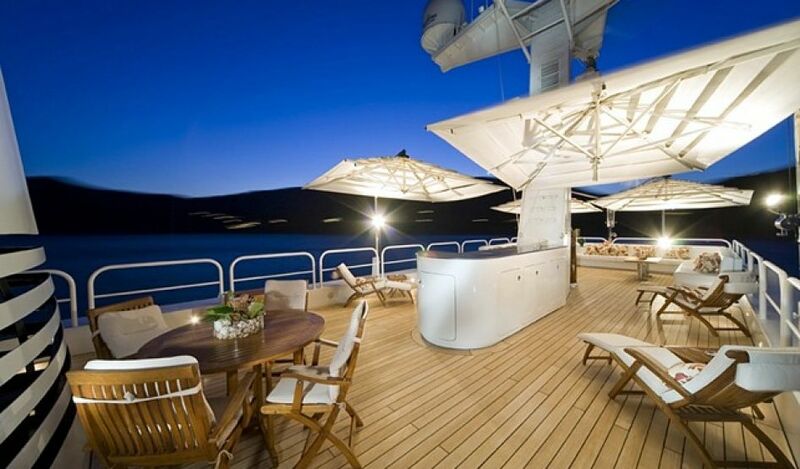 Main deck exterior dining can seat comfortably 18 guests. 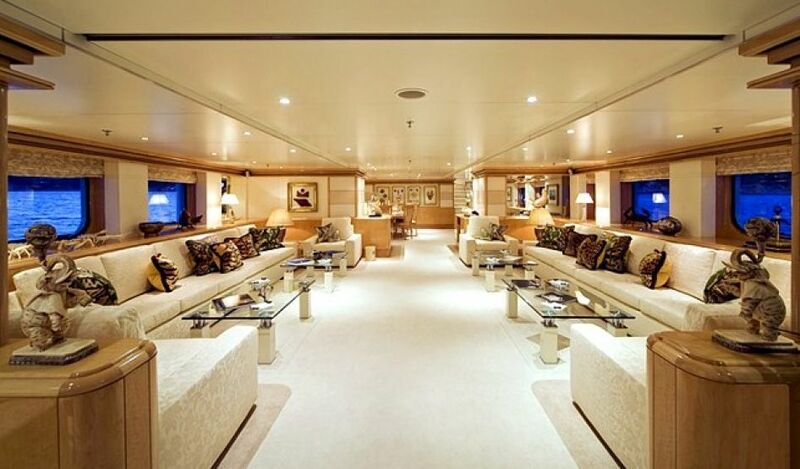 The yacht has a state-of-the-art audio-visual entertainment system throughout. 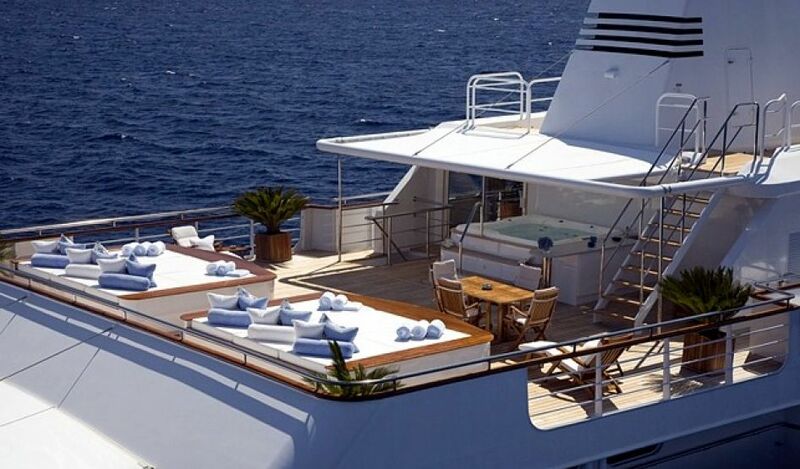 The yacht also has an extensive water-sports toy list to keep the active guests occupied! The captain and his skilled crew of 20 will ensure a perfect charter holiday.